Until 1971, Silver Lake (a popular holiday destination near Veliko Gradište in Serbia) was an arm of the Danube. I have done a fair bit of writing these past two months, but not for my blog and not for publication – although I have also been writing a second part for my ill-fated Alexis 5-1-8. Maybe I can extend it from a novelette to novella. On a related note, here’s an interesting article about sexbot prostitutes: Robot Brothels Could Soon Become A Reality. In July I had the great fortune to attend a concert in Buxton where violinist Joo Yeon Sir and pianist Irina Andrievsky played Beethoven’s Kreutzer sonata (image/link on right) and Igor Frolov’s Porgy & Bess fantasy (image/link on left). I had often heard of the Kreutzer sonata, but it wasn’t a piece I was familiar with. Joo Yeon Sir played it beautifully and passionately, and I was delighted to find the same pieces and performers on YouTube. 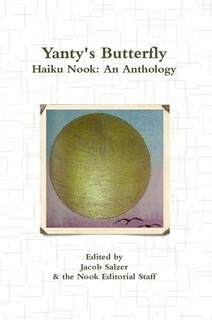 the brush of petals on silken lips, Round-up of July & August’s haiku, etc.